NJ home inspectors have seen it all and as a result, know what the 5 most expensive home repairs to look out for are. Of course, when it comes to a home there are far more than five expensive repairs that can occur. But, some issues are more common than others. A Bergen County home inspection can save a home buyer tens of thousands of dollars through a thorough exam of a home. The cost of roof damage depends on the severity. In most cases, simple roof repairs may be needed. These range anywhere from a couple hundred dollars to nearly $5,000. If the damage to a home’s roof is severe enough, a new roof installation may be needed. A new roof can cost you up to almost $30,000! A broken water or sewer line can be more than just frustrating. It can cost you thousands of dollars to fix. Because most of the water lines & sewer lines are underground, any repair requires excavating. Cost for water or sewer line repair ultimately depends on where the damage lies. If the damaged part of the line is deep below your driveway you’re looking at a $3,000 bill. As a home age, so does the siding. Luckily, most homes are now covered in vinyl siding which is much more durable than the cedar siding that was used in the past. However, regardless of the material – over time, you’ll need to replace or repair your siding. Repair can cost a few hundred dollars to $2,000 while a full replacement can cost you anywhere from $5,000 to $15,000. One of the biggest culprits for damage to a home can be water. Water damage over time can attack a foundation, siding, and the roof among other things. In addition, a damaged foundation, settling of a home, or overgrown tree roots can affect the integrity of water and sewer lines for a home. Sometimes, however, time is the culprit, especially with HVAC systems. Regardless of the catalyst for the damage the fact is that any of the aforementioned issues can cost a lot. A New Jersey home inspector knows what to look for when examining a home. Sometimes the signs are glaring and other times they are more subtle. The important thing is that the signs of damage are caught before purchasing a home. This is where experience and knowledge come into play. When the signs are present, a Bergen County home inspector will suggest a further investigation by a specialist to ensure that a buyer and/or a seller understand the gravity of the issue at hand. Understanding the health and condition of a home is an essential part of home ownership and having the expertise of an experienced and knowledgeable NJ home inspector is critical. While these are the top 5 expensive home repairs that come to mind they are certainly not the only expensive repairs that may be needed. Purchasing a home is a huge investment and avoiding expensive repairs is at the top of most home buyers’ minds. Learn More About How An NJ Home Inspection Can Save You Thousands! Contact our team at Your Home Inspector LLC today to learn more about our Mahwah NJ home inspection company. We welcome the opportunity to fill you in on the home inspection process while sharing our checklist with you. Let our knowledge and experience serve as your guide to the home inspection process, answering all of your questions including what the 5 most expensive home repairs to look out for are. I Found A Crack In My Foundation, Should I Be Worried? Finding a crack in your foundation can certainly induce a panic attack. Thoughts of sinkholes, settling, and water seeping in are but a few of the first thoughts that might pass through a homeowner’s mind. From there you might envision further issues like doors not shutting properly and windows no longer working well. Before you panic, however, the first crack you see might be completely insignificant. Take the time to hire an NJ home inspector and get some peace of mind. 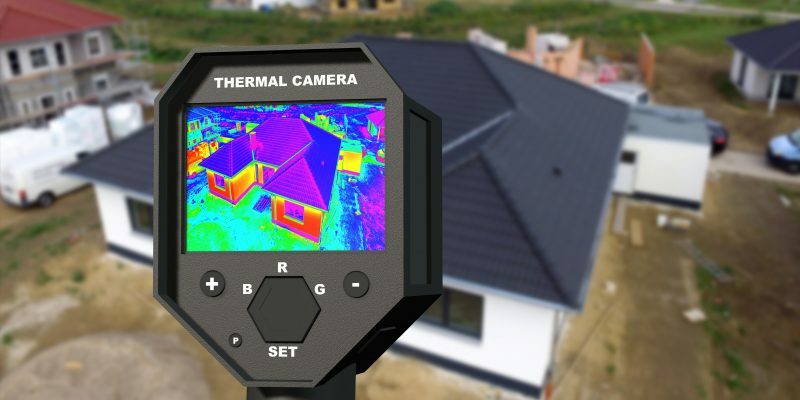 When a New Jersey home inspection occurs you will either be assured that your home is fine or be made aware of issues that need to be addressed. In some cases, a specialist will be invited to examine the damage, such as a structural engineer. The important thing to remember is that if you find a crack in your foundation you should call a Bergen County home inspection company. Of course, if all you are seeing is a surface scar or imperfection that is another story. A crack should appear to have depth and width for you to be concerned. However, remember that concern does not equate to panic! Contact our team at Your Home Inspector LLC today to schedule a Mahwah NJ home inspection today. We welcome the opportunity to answer all of your questions while sharing a typical checklist with you. Let our knowledge and experience serve as your guide to the NJ home inspection process and help you understand more about a crack in your home’s foundation or the general condition of your home. Click here to read “4 Signs of Foundation Problems” from House Logic. 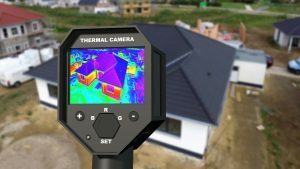 When Should You Hire A New Jersey Home Inspector? Who Is Responsible For NJ Home Inspections? Buyers or Sellers?